Beer DeLuxe is celebrating an Australian summer the best way possible – with cold beer. 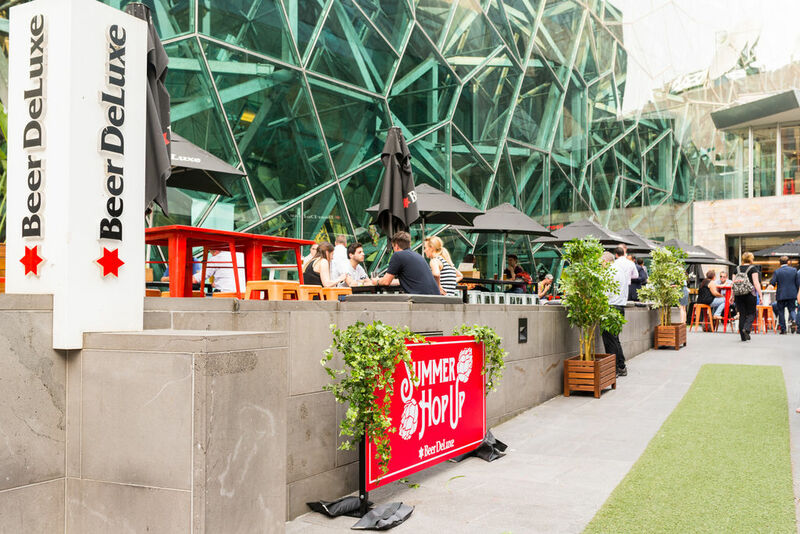 Nestled in Federation Square, Beer DeLuxe offers respite from the summer heat in its alcove of glass and shade. Every Wednesday this summer from 5pm, Beer DeLuxe will enhance their courtyard space with live music, food trucks and, of course, beer. An elite selection of The Plus Ones headed down on the muggiest Wednesday afternoon in living memory (well, since last summer anyway). Walking in, I briefly saw the wood cabin-style bar gracing the outside area, before my eyes were drawn to the two gigantic pans of paella sitting just to the side. Finding the rest of the gang, I was delighted to discover a table covered in pulled pork nachos, street-style chicken tacos, seasoned chips and – much to my delight – little boxes of the delicious paella that greeted us as we walked in. 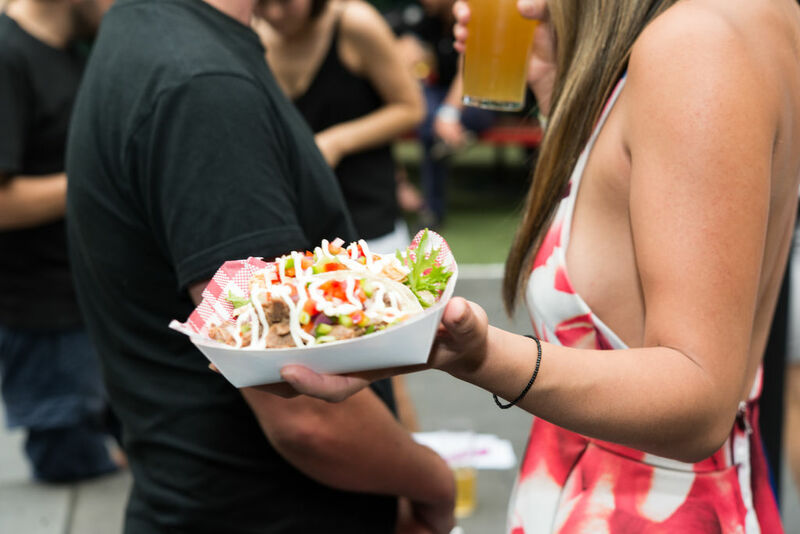 While we got to indulge in these delicacies, food trucks will be gracing the doorstop of Beer DeLuxe every Wednesday for the Hop Up, promising a rotating roster of new and exciting dishes to try every week. Now, I’m not a beer drinker. My teenage years saw me drink a few Tooheys Extra Dry’s at parties (affectionally known as TEDs), but it’s never really been my thing. So when I bravely ordered a pot of Lazy Yak, I was apprehensive. As it turns out, a beer goes down very well when accompanied by good friends, good food and the promise of a hot, Australian summer. 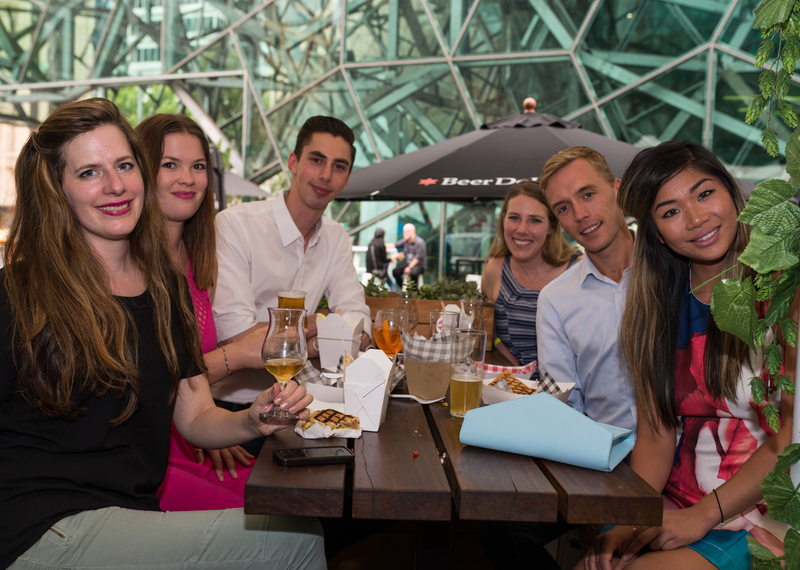 Beer DeLuxe is located on the Flinders St side of Federation Square. The Summer Hop Up runs every Wednesday from 5pm through summer.